One of the main reasons travelers come to Costa Rica is for the beaches. Depending on your particular style of beach-going, there are a number of different Costa Rican destinations to consider. Today we are going to focus on the most pristine beaches of Costa Rica- places where you could spend an entire afternoon without seeing a soul. You guessed it- this list of beaches is in The Osa Peninsula! For snorkelers, it is hard to go past San Josecito Beach and Bliss Beach. Located along the public “Beach Hike” trail, between Drake Bay and Corcovado National Park; these beaches contain many rock structures and corals where you can experience a huge variety of marine life. Check the tide times, as high slack tide is the best time to jump in. It is also extremely important that you do not touch or remove anything from these delicate ecosystems. And absolutely no feeding the fish! Punta Rio Claro is one of the best breaks in Costa Rica. Although it is by no means a learners beach, experienced surfers can generally rent boards here. This little beach is also home to a tiny sea turtle project, run by Ricardo- a local who has spent several decades in the wilderness saving these amazing creatures from poaching and predation. If you do visit this beach, we ask that you purchase a coffee, snack or make a small donation to this worthy cause. On the other side of the peninsula, Carate and Rio Oro are two long, pristine, sandy beaches that also happen to be the most important sea turtle nesting beaches in Costa Rica. If you wish to visit these projects to volunteer or take a turtle tour, you can take a look at our adventure packages page, or contact the local association directly. Playa Rincon, located at the very end of the drive-able road from Drake Bay towards Corcovado, is the best place in the region for spotting whales and dolphins from shore. Try August to November for your best chance of Humpback Whales breaching. You can also visit Poor Man’s Paradise, a locally owned lodge, that can provide you with a cold beer in the middle of nowhere! What could be better than that? Due to the dramatic and beautiful volcanic rocks lining the pacific coast of the peninsula, there are actually not too many beaches where a relaxing dip is recommend. Playa Caletas, located around 1 hour walk from Drake Bay center, is an exception. Due to the rocky point on the Southern end of the beach, you are protected from the northerly flowing current, and the larger waves carried with it, that can be a problem at other beaches in the region. You are also just a short swim or walk away from Bliss Beach, where excellent snorkeling can be found. 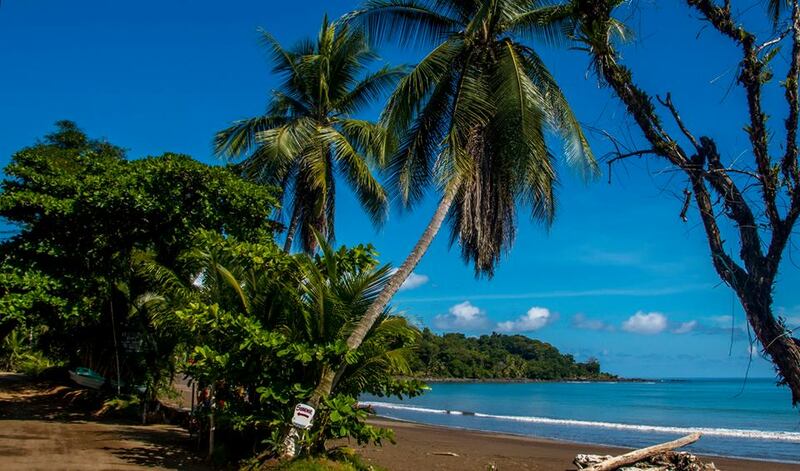 So to count them down, our top hidden beaches in Costa Rica, in no particular order. Take a look at our interactive map for the exact locations, and read more on our Beach Hike page.